Some of New York’s old village names survive today: think Chelsea, Yorkville, New Utrecht, and Gravesend. Others get unceremoniously wiped off the map, with not even a train station bearing the old name. That’s what happened to Harsenville. In the late 1700 and 1800s, this little hamlet spanned 68th Street to 81st Street between Central Park West and the Hudson River. It got its name from Jacob Harsen, a farmer who settled there in 1763. This is his house below, at today’s Tenth Avenue and 70th Street, in an 1888 New-York Historical Society photograph. Other farm families followed, and soon, a real town formed. Harsenville Road went through what is now Central Park; schools, churches, and shops opened. By 1911, however, Harsenville was kaput, reports a 1911 New York Times piece on old-timers reminiscing about their ‘hood. The blocks of brand-new brownstones and apartment houses were soon to be known collectively as the Upper West Side. Interestingly, one new condo building on West 72nd Street capitalizes on the Upper West Side’s small-town history: The developers named it Harsen House. This entry was posted on August 22, 2009 at 6:35 pm and is filed under Uncategorized. You can follow any responses to this entry through the RSS 2.0 feed. You can leave a response, or trackback from your own site. super! my favorite of all olde-new york topics. another lost name is carmanville, further up the west side from harsenville. Carmanville, I’d never heard of it before–thanks for the link! Other wiped-off-the-map villages are Ravenswood and Blissville in Queens, though there are still some scattered remnants of these hamlets here and there. i was in what was blissville earlier this summer, after visiting my father’s grave in calvary. the name survives at least in the bliss yards of the LIRR, located right there. Looking for any photo of 74 W68th St.
We are renovating the entrance but cannot find photos of the original doorway/marquee. Any leads would be appreciated. I had never heard of Harsenville before reading your Blog. I didn’t know that New York (once civilized during the development of the city) still had farming villages in the middle of the buildings and congestion. I find it quite repulsive that the government had decided to demolish a town inhabited by farming families who most likely didn’t want to adapt their lives to a city full of congestion and disease. Although I somewhat understand wanting to develop the entirety of New York into a city leaving no towns and villages in the middle of it all, I imagine it would be incredibly insulting to the families (who were most likely not part of the well-to-do) that they turned their farming town into a park for the rich. I think it would have been a bit less intrusive and offensive if they had gotten rid of the town and had instead constructed buildings for the poor in their absence. It conveys the intrusive nature of the rich and how they had the upper hand over the city. It’s obvious that there was no recognition of the poor during that time, and clearly expresses the superiority of the upper class citizens when it came to the government’s priorities when it came to pleasing their citizens. Nowadays, we claim that we’re equal in the eyes of the government… however there is too much evidence to suggest that the latter statement is false. The living conditions of America’s poor (especially in New York), is appalling. The buildings are crowded, filthy, and dangerous. There are still very few opportunities for New York’s poor because they are overlooked and ignored by the American government. My grandfather was Clark Harsen, DDS, of Harsens Island and Algonac, Michigan. Family records indicate Jacob C Harsen of Harsenville was related. Does anyone have info on the middle name of Jacob ? What the baby archaeologists are excavating is simply the old colored section of Harsenville. 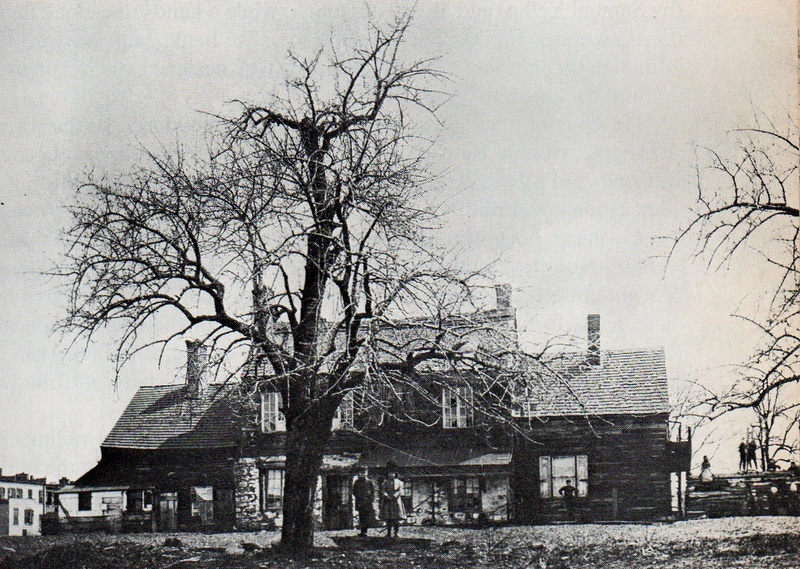 The phrase “Seneca Village” meant only one thing during its purported heyday, 1830-1855, and that was an Upstate tribal village of genuine Seneca Indians. Search through 19th century newspapers and city-council minutes and see for yourself. In his exhaustive, multi-volume “The Iconography of Manhattan Island” (1915-1928) Isaac Newton Phelps-Stokes does not include a single mention of “Seneca Village,” though he has plenty to say about such obscure locales as Harsenville, McGowan’s Pass, and Hamilton Grange. “Seneca Village” is an obvious concoction, a deliberately perpetrated urban legend. This does not stop the NYTimes, Columbia, Barnard, the Central Park Conservancy, and a wide assortment of other local gulls and magpies, from repeating the nonsense that this “Seneca Village” was “the first African-American [sic] neighborhood,” with many churches, jazz recitals, and def poetry slams, etc. etc. ; a sort of precursor to 1920s Harlem. I’m joking about the jazz and poetry. But I am deeply affronted by the pernicious fraud being perpetrated by this “Seneca Village” hoax. Gravesend (within whose borders I reside) and New Utrecht were Towns not Villages (both legal entities in NYS) as were Flatlands, Flatbush, Bushwick and Brooklyn, the last of which absorbed all the others. I also live on the edge of a non-official village called South Greenfield, part of whose street grid survives at angles to the official one. The inhabitants (Irish?) are said to have worked at the race tracks for which southern Kings County was noted. I had a great-uncle who worked at one. There were six town in Queens County three of which joined NYC, the other three becoming Nassau Co.